OFSTED - The Education Inspections from September 2008 / 2009 Ready-to-browse digital edition online that gives the vibrate colors and spirit of print edition. Flip through the pages with the click of a mouse and interact with the ebook. Zoom-in on articles for more detail or view in text-mode. Search through the entire edition of 86 pages in A3 Size. View in the Office - Meetings or at Home at your leisure. Sustainable development opportunities in the agreed syllabuses. • The teaching is consistently effective and has a positive impact on learning? • Equality, Diversity and Community Cohesion are taken into account? • The views of parents and children and young people are listened to and acted upon? The curriculum meets the needs of all learners? Resources are adequate and used well? • All learners are supported effectively? The spiritual, moral, social and cultural development of the pupils at the school and contribution made by the school to the well-being of the pupils. Merge several existing inspectorates into a single inspectorate to cover the full range of services for children and young people, as well as life-long learning. An example of an opportunity in Key Stage 1 Distinguishing what is made and what belongs to the natural world. Listening to Christian and Jewish stories and poems that describe God as creator and the world as a precious gift to humanity. Talking about pupils' feelings about the world, such as awe, wonder and a sense of mystery, and the importance of looking after the world and its people. An example of an opportunity in Key Stage 2 Learning about, and from, Christian and Islamic beliefs about God as creator and sustainer of the world and its people, and the responsibilities of human beings towards God and each other. Considering Hindu beliefs about the cyclical nature of time and space, and the influence they have on life. Talking about their attitudes towards people and places, and considering how they can show respect for them. An example of an opportunity in Key Stage 3 Exploring ways in which the natural world inspires spirituality. Learning about, and from, Christian responses to issues of justice and development in the natural world and in human life. Exploring how values are demonstrated through social and global issues. Considering Sikh teaching that God is One, and that all human beings are equal in the eyes of God. Learning about Buddhist teachings about the causes of suffering in the world and how suffering might be overcome. An example of an opportunity in Key Stage 4 Considering the teachings of Christian and other principal religions on social, economic and environmental issues. Learning about the Assisi Declarations and what they have to say about religious attitudes towards the environment and sustainable development. Learning about religious teachings on the world and how they affect contemporary attitudes to green issues. Considering how care for the environment may be supported philosophically. Sustainable development requirements and opportunities at GCSE Requirements and opportunities for sustainable development have been mapped in a sample of specifications. Guidance is provided so that you can map the requirements and opportunities for sustainable development in the specifications that you teach. Sustainable development (SD) requirements at GCSE The requirements for sustainable development in GCSE Religious Studies vary from specification to specification. Below are some examples of requirements for sustainable development for religious studies at GCSE. Religion and the natural world Requirements for SD: types of environmental pollution. Conservation of natural resources. Non-religious arguments about environmental issues. Religious teachings on creation and stewardship. The role of religious people in environmental work. Animal rights. Examples of opportunities for sustainable development for GCSE Religious Studies Opportunities for sustainable development in GCSE Religious Studies vary from specification to specification. 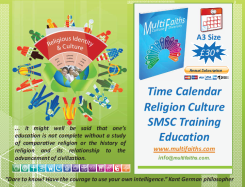 Religion and society Unit content: morality and religious teachings. Religion and the political system. Religious attitudes to the political process. Religious and non-religious arguments about the welfare state. The religious roots of the welfare state. Suggested SD enhancement Pupils could explore religious attitudes to social and economic development and the role of religious non-governmental organisations (NGOs) such as Christian Aid in lobbying on sustainable development issues, including environmental protection, poverty alleviation and fair trade. Religion and the political system Unit content: morality and religious teachings. Religion and the political system. Religious attitudes to the political process. Religious and non-religious arguments about the welfare state. The religious roots of the welfare state. Suggested SD enhancement: Pupils might study the links between religious ideas, religious organisations and sustainable development issues (including economic development, social diversity, environmental change) in different cultures, using contrasting materials from faith groups and other organisations. Religion, wealth and poverty Unit content: religious teachings on wealth, poverty and development. Religious views on wealth, poverty, stewardship and the need for development. Work of religious agencies in world development. Suggested SD enhancement Pupils might explore the role of religious agencies in sustainable development, locally and internationally, and compare core economic development principles of religious and secular NGOs through publicity or campaigning materials. The units discussed in this guidance can be used as a basis for work in religious education (RE) if a school is satisfied that the units will enable it to fulfil the requirements of their locally agreed syllabus or, in a school not subject to an agreed syllabus, their governing body policy for religious education. Why is religious education important? Religious education provokes challenging questions about the ultimate meaning and purpose of life, beliefs about God, the self and the nature of reality, issues of right and wrong and what it means to be human. It develops pupils’ knowledge and understanding of Christianity, other principal religions, other religious traditions and other world views that offer answers to questions such as these. It offers opportunities for personal reflection and spiritual development. It enhances pupils’ awareness and understanding of religions and beliefs, teachings, practices and forms of expression, as well as of the influence of religion on individuals, families, communities and cultures. During the foundation stage, children may begin to explore the world of religion in terms of special people, books, times, places and objects and by visiting places of worship. They listen to and talk about stories. They may be introduced to religious words and use their senses in exploring religions, beliefs, practices and forms of expression. They reflect on their own feelings and experiences. ° communication, language and literacy ° knowledge and understanding of the world ° creative development. What is this guidance for? In October 2004 the Department for Education and Skills (DfES) and the Qualifications and Curriculum Authority (QCA) published the Non-statutory national framework for RE. This framework sets out guidelines for RE in England. It also provides information to help those with responsibility for the provision and quality of RE through the whole of the maintained school system of education. The material in this guidance, and the accompanying units, illustrates how RE – based on an agreed syllabus or other guidelines (eg in a school with a religious character) – might be structured for the classroom. In fulfilling the requirements of their agreed syllabuses or other guidelines, schools should feel free to use as little or as much of this guidance as they find helpful, adapting it to meet their pupils’ needs and their school and local priorities. Some units show what could be taught in relation to a specific religion, while others are illustrated by two or more religions. To increase flexibility, the guidance indicates places where schools can adapt the content to suit the requirements of their own agreed syllabuses, especially where particular religions are specified for study at each key stage. Who is this guidance for? 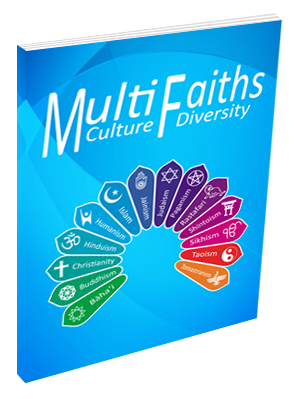 This guidance has been mainly written for: • agreed syllabus conferences • standing advisory councils on religious education • relevant authorities within faith communities • teachers following an agreed syllabus or other requirements based on the Non-statutory national framework for religious education. It relates to RE, taught according to a locally agreed syllabus or other requirements that are based on the Non-statutory national framework for religious education. It might also be useful to those planning RE in other schools. • suggestions for appropriate teaching and learning approaches • information on how to use the units of work provides guidance on dealing with sensitive and controversial issues. ‘Prior learning’ This describes previous learning, experience and skills that might be helpful to pupils who are undertaking the unit. ‘Future learning’ This describes possible learning experiences or units that pupils could pursue after this unit. • self-awareness • respect for all • open-mindedness • appreciation and wonder. • The views of parents and children and young people are listened to and acted upon? Schools are in a strong position to have a positive impact on issues relating to cohesion and ethnicity through the stance they take on race equality in their race equality action plan and policy. They can help foster tolerance and respect within the local community as well as within the school. They can also help in the celebrating diversity and difference, not least by inviting parents and others to participate in school events, including collective worship and major curriculum projects. It is also important, especially in Religious Education, that we don’t fall into the trap of assuming that there are, for example ‘Christian values’ or ‘Muslim values’ when we know that there are huge differences within groups and traditions and between individuals within groups.